I am a part-time PhD student and a full-time knowledge broker. 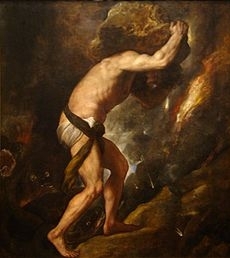 And today I feel like Sisyphus. You never heard of him, hey? He was the poor Greek son of a… king who took pleasure in killing and was sentenced to a life’s struggle of pushing a boulder up a hill, only to reach the top with the curse of it falling down the hill again. Never (never!) to reach the top. Sounds a bit like positioning academic research to contribute to society. You think the change is happening… and then… before you know it, you are back to the base of the hill. The graduate student gives me hope. I have no background in pedagogy or theories of learning. I have no need to fulfill tenure requirements. But I do have an inkling that graduate students could be the most important human resource in our modern society. What makes graduate students so very different? Their post-modern view of the world? 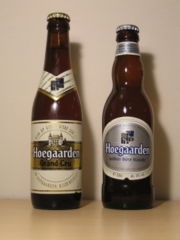 Their affinity for drinking copious amounts of European beer? (OK, different, but not unique) Not at all. Graduate students are unique human beings because they have a passion for knowledge and they want to share that knowledge for the betterment of the world around them. Is that unique you ask? Everyone carries knowledge and wants to change the world (existentialists exit here). But graduate students do it with a special thrilling insight into how knowledge can change society. And they have special knowledge. I make no apologies for saying that, in my humble opinion, academic knowledge is the peak of the highest learning mountain. It is the supreme athlete of the learning arena. The peer-to-peer battle over ideas gives knowledge its strength. Peers beat the pulp out of knowledge for a reason; so it can stand on its own merits. And graduate students take that torch with vigour. They are interested, focused and committed. At Memorial University of Newfoundland, Canada this year, there is a record number of graduate students. 2758 full and part-timers. 2758. That’s ten times the amount of people than the small community I grew up in. That’s 250 times the size of the average municipal council in Newfoundland and Labrador. That’s a lot of changing power. I was reading on old University Affairs article the other day and it said only 51% of graduate students will go on to be academics. The other 49% will work in the public sector, not-for-profits, or start their own businesses. I’m not great at math, but that’s half. Half of all graduate students will choose not to be academics. I was shocked at that statistic, and enthused. Imagine. Half of graduate students will be future academic researchers, half of them policy-makers. For the knowledge broker (able to leap silos in a single bound) it’s a future match made in Heaven. It is an infiltration of like-minded people who believe in the power of research. Who want to change the evidence-free decision-making culture in our system. 2758 (to infinity) pushing the boulder simultaneously, with a passion to push it over the top.